•	Digitally preview grayscale images of the exterior, address side of their household’s letter-sized mailpieces scheduled to arrive soon. 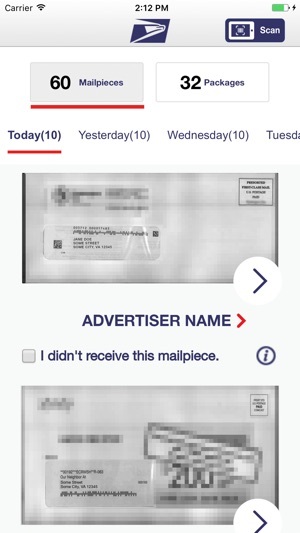 •	Report missing mailpieces, and in some cases, interact with mailer-provided digital content associated with mailpiece images (e.g., special offers, related links). 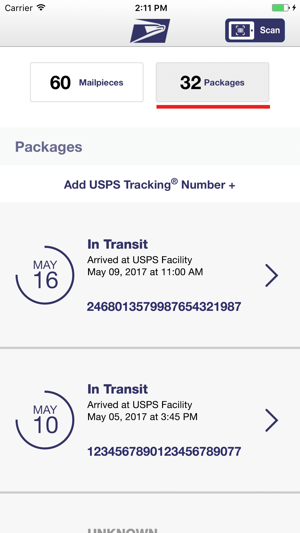 •	Schedule emails and/or text-based alerts to track the delivery status of your incoming packages. •	Scan the barcode on shipping labels with a mobile device’s camera to store the label number and track its status. •	Leave delivery instructions for incoming packages and schedule a redelivery. Was waiting in line at my local post office when I saw the advertisement for Informed Delivery. I couldn’t believe it... I’ve always wanted to know what snail mail was coming and with this app, I finally know plus the added bonus of tracking packages. I was notified via this app that a package I was expecting, label was created. This info came way before the shipper notified me with the tracking number. Awesome sauce! This is a great little app and does what it says and the signup process was pretty easy and straightforward. 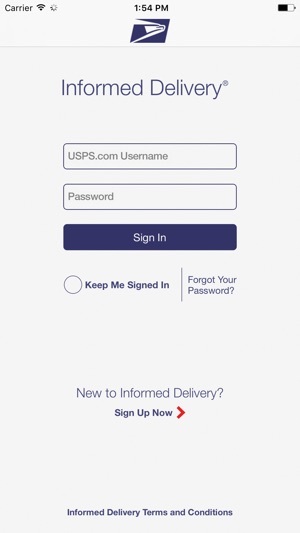 There’s also an option within the app to notify the post office is you did not receive a piece of mail they indicated was coming to you. 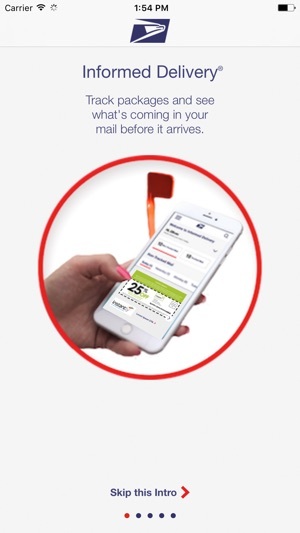 Thank you Postal Service for a great app. I’ve only been using this app for less than a week and my mail has been on point with what “ID” said was coming. I highly recommend that everyone get this app. 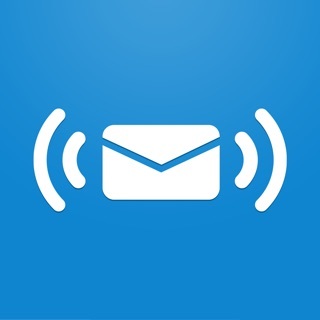 Some have written reviews regarding trouble or errors with this app and I hope their issues have been or are in the process of being resolved; with this in mind, I still highly recommend this app because simply knowing what is coming offers a piece of mind when you expecting important mail. Foe a week it worked great, is notified me, correctly, of my mail and a package, that I wasn't expecting for three more days. Then on Saturday it showed no mail. I had become used to it being correct, so I didn't check the box. Again on Monday it showed no mail. I didn't check again, because I trusted it. Last night I decided to check if the local free advertiser paper was in. It showed junk mail except for flyers and that little paper. I opened the box, and, it was full. There were two days worth of mail in there. The app missed it all. There were three letters on bottom, then some flyers, then two more letters and some junk letters, then some more flyers and the advertiser . I know it was two days worth, because, our mailman always puts the good mail in first, then the junk. There were two layers of mail. Thus, two days of missed mail. I would say, that anything that has to be double checked is worthless. So I give it one star. Update: It showed I had 2 pieces of mail, but there was only one. It showed the same one twice. Now it indicates mail and the number, but no pic. It also does the same thing on the browser console on my laptop, so it is not a fluke. 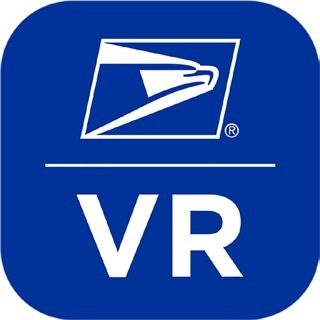 The reviews are horribly misleading, the reviews are on the quality of the USPS and not the app itself. First the security questions that are needed to verify you so you are the owner of the mailbox and not seeing your exes mail are driven by a third party that is used by many company’s because said company’s shouldn’t know you. I get questions that I can’t sometimes answer but if there is not a lot of data on you the questions are harder ! Second, NOT every single piece can be scanned, it’s clearly told to you everyday. You should still check your mail! Third, the app doesn’t drive the service. Fourth, If you have issues please call customer service it’s an issue with your address and you ! I’ve been using the service and app and the website version for awhile , it works fine . It’s not how I check my mail but it’s nice to know some things. Most issues are surrounding the service itself and lack of understanding.